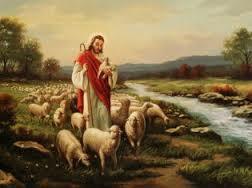 We have discussed the Good Shepherd, shepherds as a whole and robbers and thieves. Now we turn our attention to hirelings. Hirelings are not necessarily bad. The term is used to refer to someone that has a job. Having a job is not bad. The problem comes when the paycheck is the concern rather than the quality of work and dedication to that work. Consider these truths, Jesus was never paid for ministry. This is not to say ministers should not be paid. Jesus’ needs were all met directly by the Father and through the treasury (entrusted to a known hypocrite in Judas Iscariot). Food was not plentiful, but it was adequate. Comfort was never a concern for the Lord had no place to lay his head (Matt 8:20; Luk 9:58). Ladies and gentlemen, today’s world is becoming expensive. The WORLD is becoming expensive. However, salvation and the power of God through salvation is free to you. The only cost was to Christ and the Father. Equally, all the resources provided through the Son, by the Father and managed by the Holy Spirit are free to the individual (it’s called grace) but costly to God. God has done everything, provided everything and continues to bless His under-shepherds with all the tools for their individual given ministries. We get into trouble when, as Wiersbe notes, we try to become manufacturers instead of distributors of grace. The only admonishment for the people of God on behalf of their ministers and evangelists is in the form of food and shelter in Matthew 10:10-15. Where they are not received, nor their words are heard, they were to move on. When one goes into ministry, their chief desire should be to glorify God and further His will regardless the cost to person. The reward, as Jesus regularly exemplified was outside this world. When a minister is concerned about his salary over the power of God’s provision and opportunity to operate in God’s pure grace alone. Ladies and gentlemen, would your pastor serve for nothing other than leaning purely upon the provision of God’s grace? That is a defining factor. Where the body of Christ can give a salary to their minister, what a blessing!